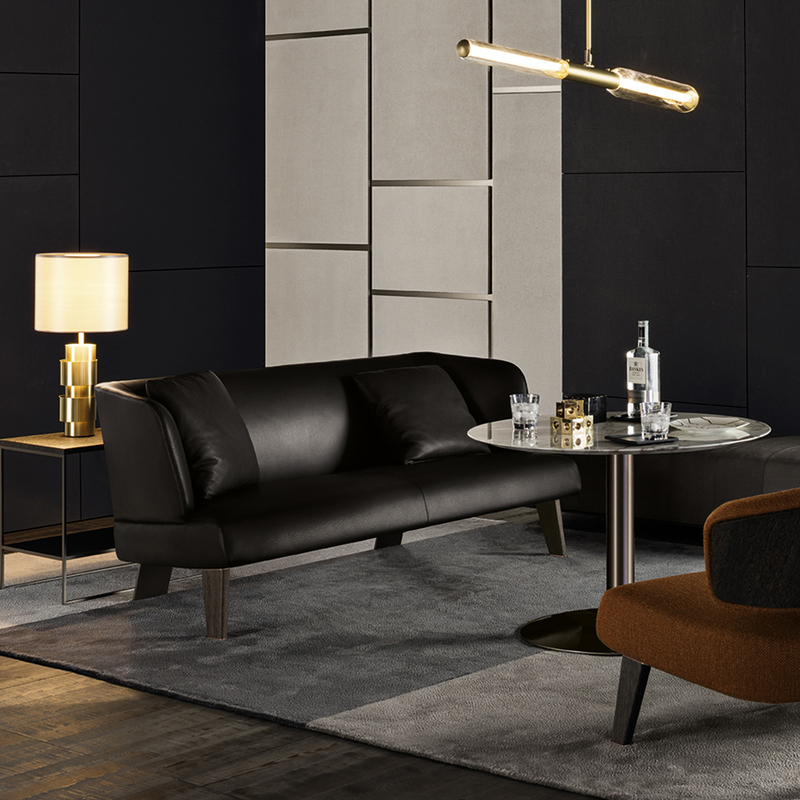 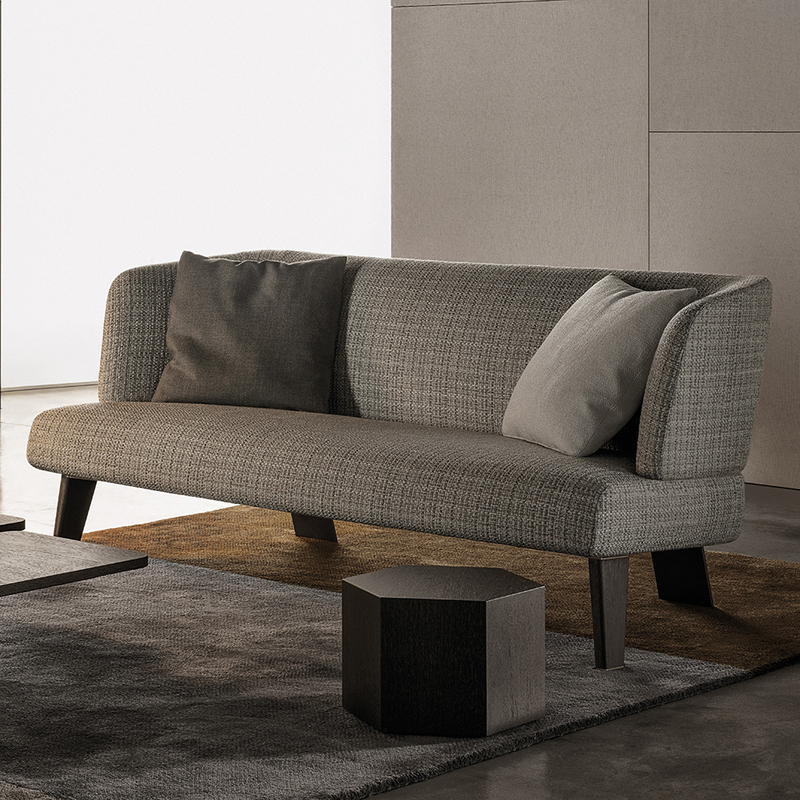 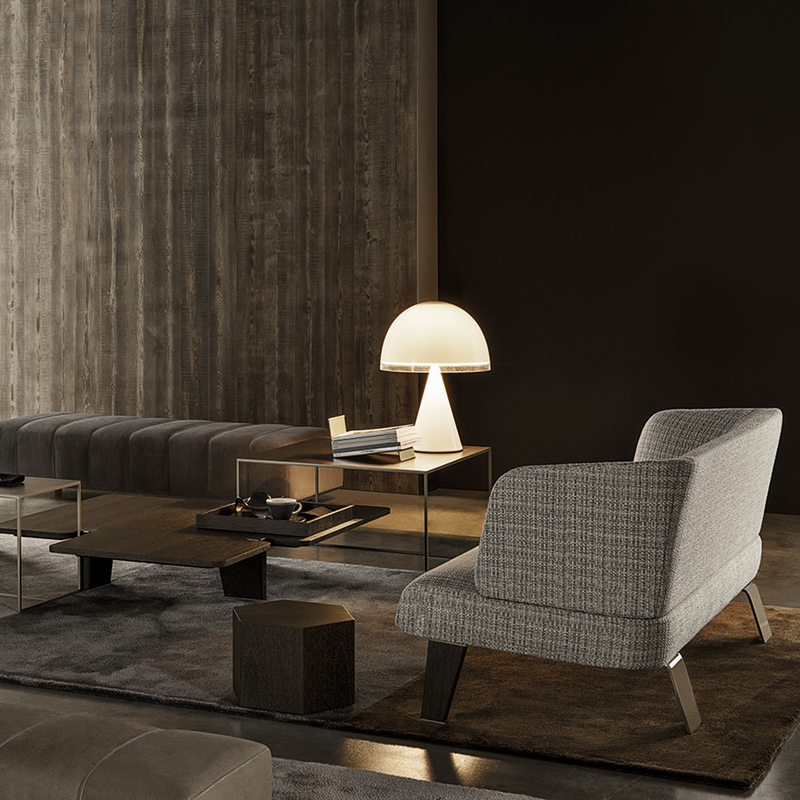 The collection of Creed seating elements come with a full-blown personality and was developed to establish a lively, meaningful conversation with the many accessories from the Minotti collection that create innovative and unique living spaces. 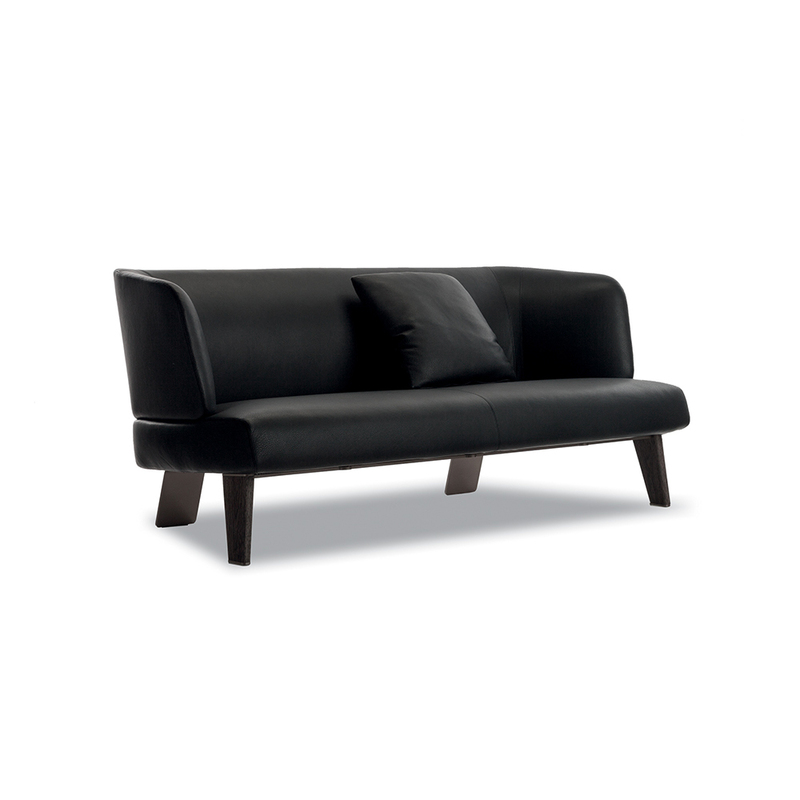 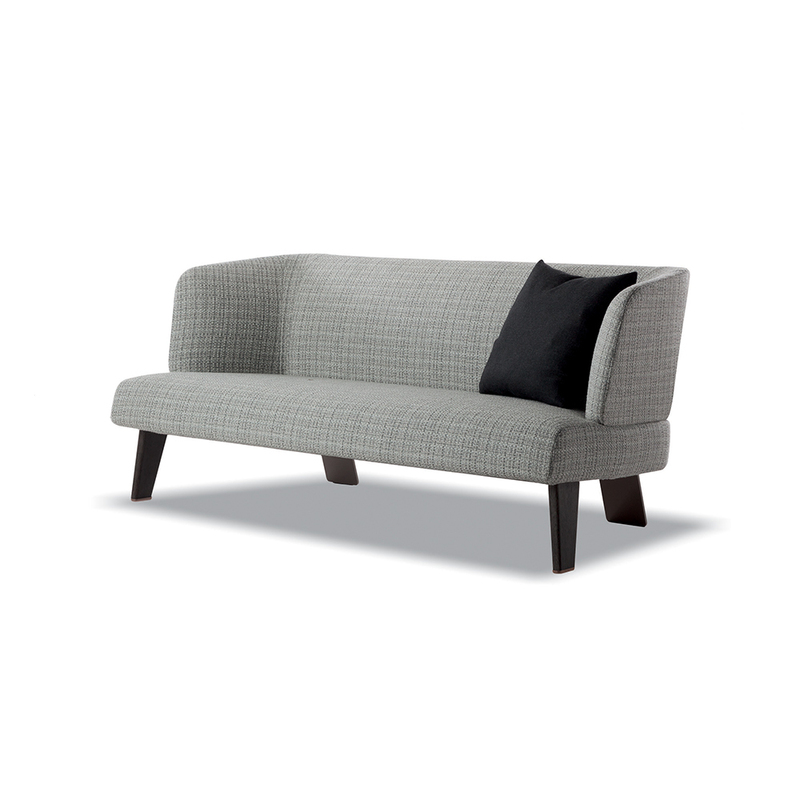 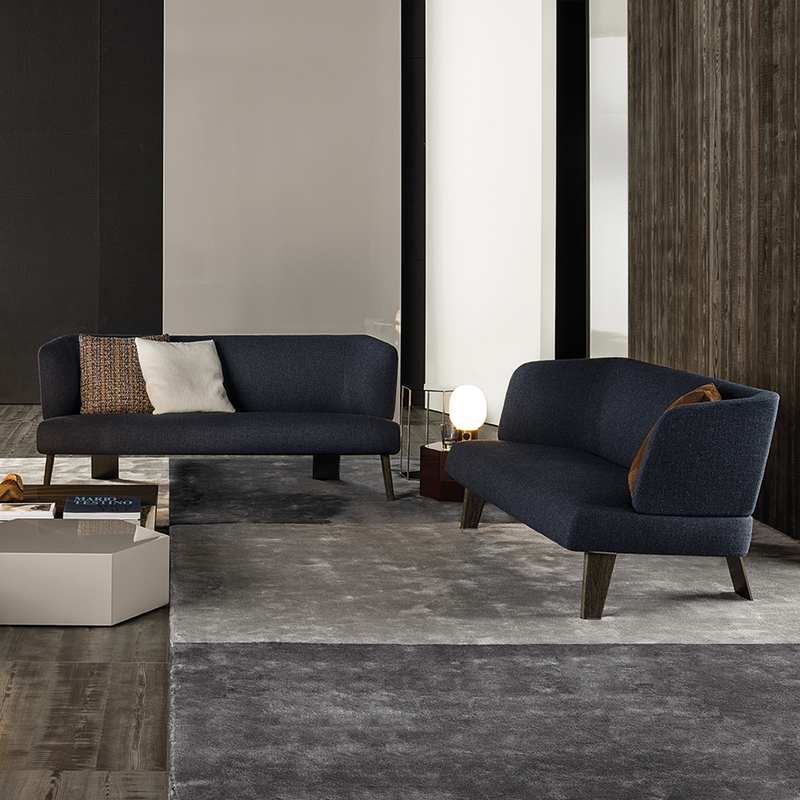 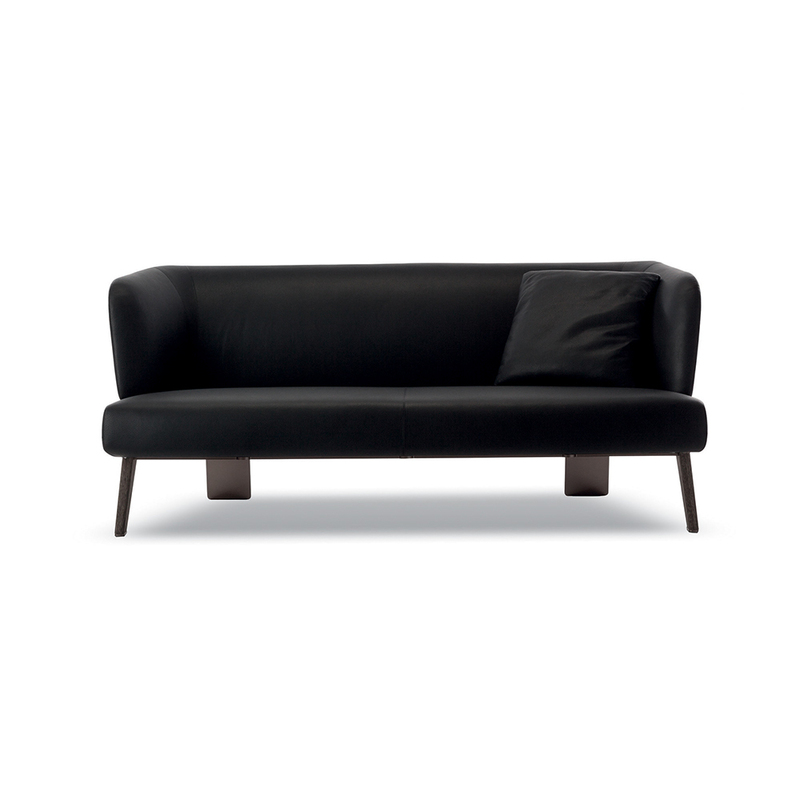 Generously inviting shapes, expertly-crafted tailoring and sophisticated details inform the Creed Lounge Sofa. 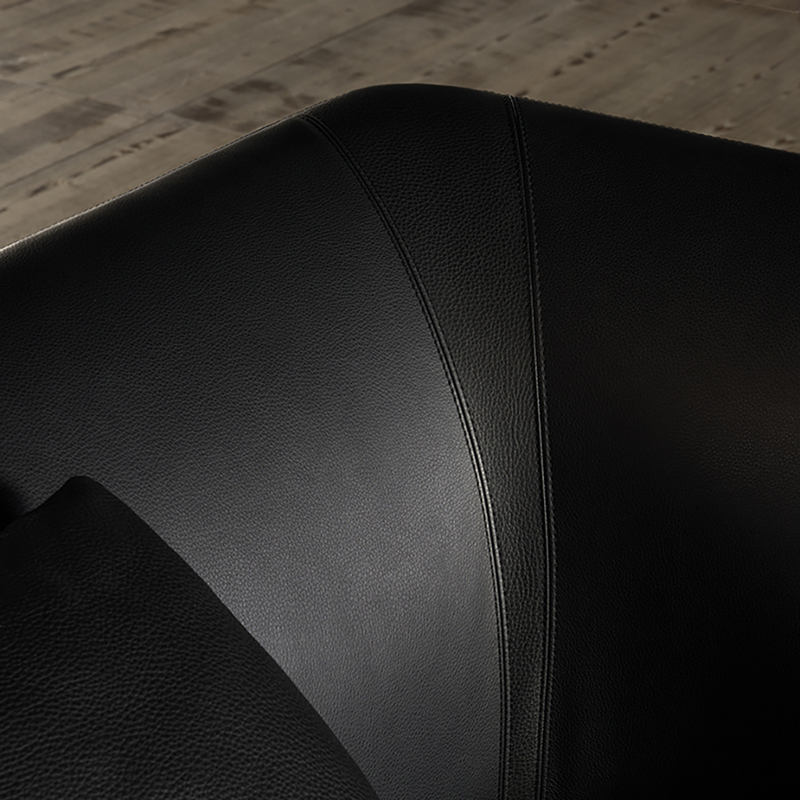 W 67" x D 30.8" x H 28.4" x SH 15"